Right now, the rage in decorating is farmhouse style. I have always been a fan of this rustic chic way of decorating. Typically, rustic chic is a blending of the old and warm accessories with more modern and cool details. Farmhouse style incorporates a lot of rustic or vintage items with a lot of white. A neutral palette with warm, rustic accessories make a room especially comfortable which basically defines a farmhouse. It’s fairly easy to accessorize with vintage or antique pieces. There are so many antique malls, flea markets and garages sales that are filled with all sorts of that wonderful and nostalgic paraphernalia. But, decorating with the old isn’t the only way to achieve a farmhouse style. Decorating farmhouse style can also be achieved by creating something new for your space that is comfortable, warm and inviting. Decor craft projects not only provide a fun new accessory but the fact that the new accessory is handmade makes it perfect for a farmhouse style. 1. 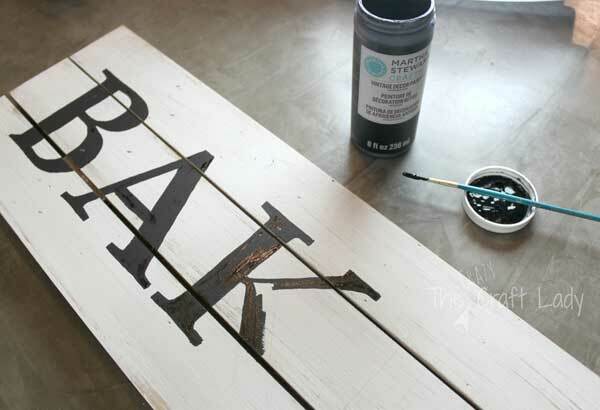 DIY Farmhouse Signs – Farmhouse signs are one of the most popular accessories in a farmhouse style home. Although you can purchase these at many stores, it can be more cost effective and personal if you make your own. This sign DIY project by The Crazy Craft Lady is a great example of what can be done with rustic wood, paint and a stencil. Check out her blog for the full tutorial! 2. Farmhouse Wreath – What is more welcoming to a home than a warm wreath on display? This wreath craft project by Dandelion Patina is the essence of true farmhouse style. 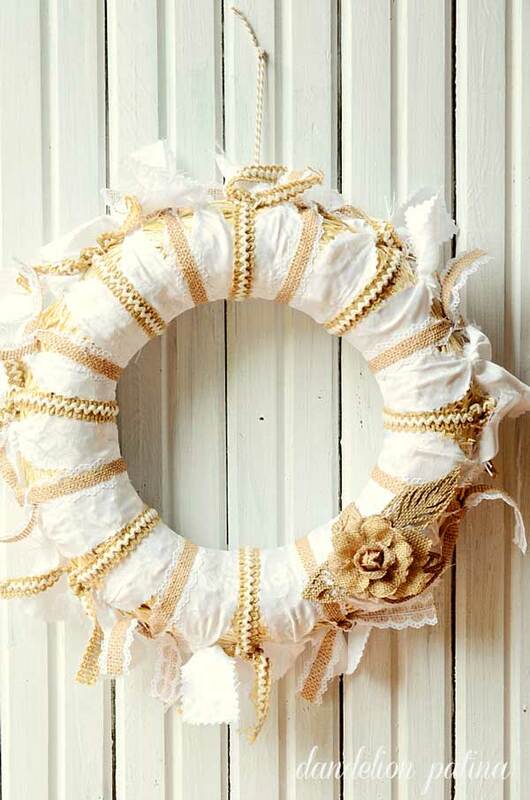 This burlap and white wreath is made from a simple straw wreath decorated with a tablecloth, burlap and lace. Check out her tutorial for all of the easy instructions! 3. DIY Shiplap in a frame – Thanks to Chip and Joanna Gaines, shiplap is all the rage for a farmhouse style. If you don’t have any shiplap walls in your own, no worries. It’s easy to create your own using plywood. 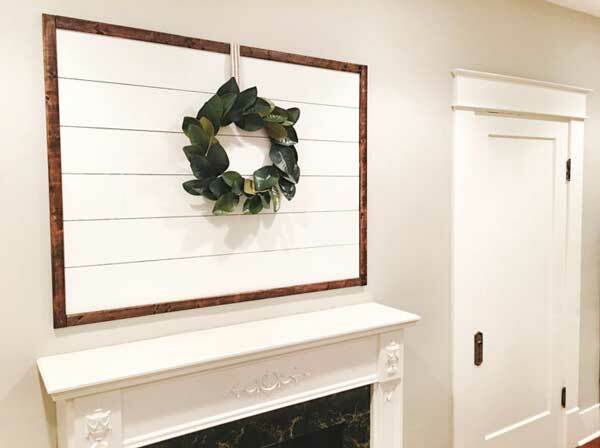 Check out this tutorial for framed shiplap by At Home With Natalie for a quick and easy way to get this look in your own home. 4. 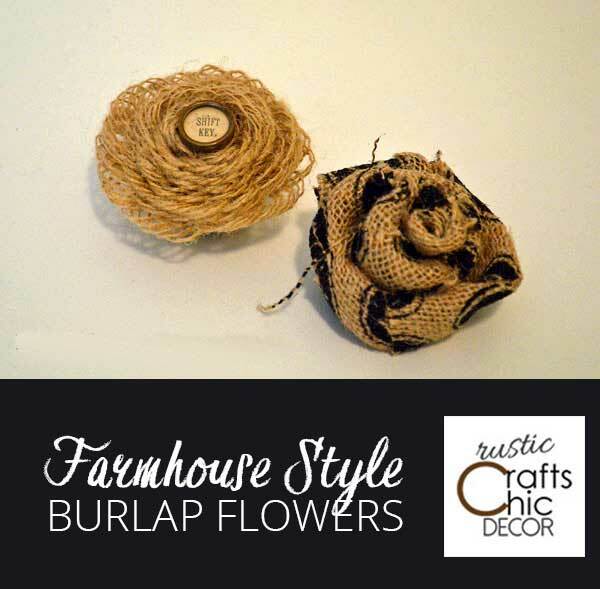 Burlap Flowers Craft – You can give almost anything a more rustic chic look by adding a little embellishment. I like to make burlap flowers to decorate wreaths, books, signs or gifts. This easy craft project can add a little farmhouse charm to your home. Just check out my tutorial for burlap flowers!